Season 4 of The Walking Dead is right around the corner and Robert Kirkman is giving us a little tour of the season 4 Prison. 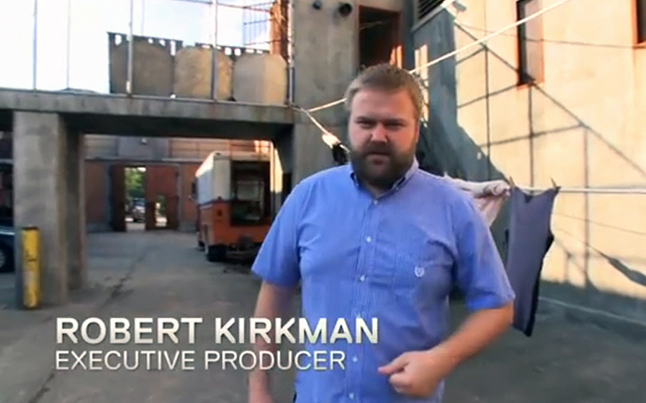 Kirkman walks us through some of the changes that have taken place at the Prison since season 3, and shows us some of the areas that we will see later on this year. When season 4 begins again this October 13th, the series will not exactly pick up where it left off. They have already stated there will be a big time jump, and some of the changes to the Prison definitely reflect that. The survivors have begun to actually make a home out of the crude Prison, or at least more than they did in season 3. Kirkman walks us through a few new areas that were not present in the previous season. There is a new outside eating area where the survivors have started putting the Prison supplies to work. Then there is also an outside area that is now devoted to power generation where they keep their batteries and generators. One of the biggest changes that can be easily seen is the addition of the crops. 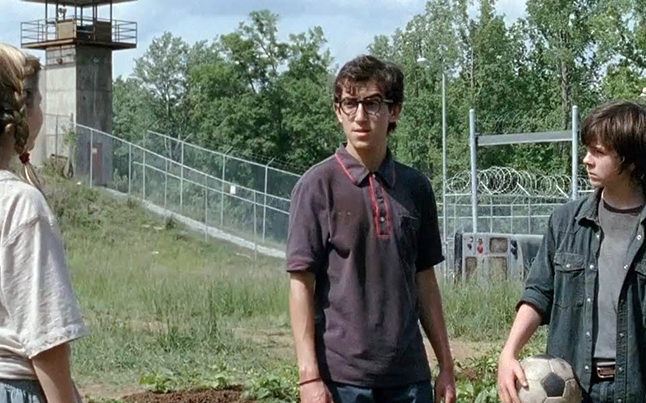 The survivors have begun growing their own food in the Prison yard, and this really changes the landscape. Alongside the new crops, they have animals that they can now eat such as pigs. The fact that they are becoming self-sufficient is a big step towards survival. Finally he goes into the new weapons laid out around the Prison yard, and the new cell block. During season 3 the survivors lived in Cell Block C, however they are now opening up Cell Block A for living quarters. This cell block is laid out slightly different, which I think will help to give us a fresh perspective. The video is definitely worth checking out, and it happens to be pretty funny too. As you know, we only have weeks to go till season 4, so sit back and get ready for what should be the best season yet!